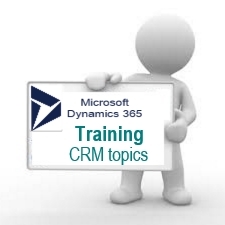 Opsis is Sydney's only dedicated Microsoft Dynamics 365 (and Dynamics CRM) CRM Training provider. Training through Opsis means your trainer will be a veteran of the CRM industry, a CRM consultant who has seen the good, the bad and the ugly of CRM implementation projects. Our training material reflects this. At Opsis we develop our own training materials, which are very hands-on and focus on the reasons for using specific functionality or techniques - the 'why' as well as the 'how'. Over the past decade, Opsis has provided CRM training to over one hundred organisations, in Sydney and up and down the eastern seaboard of Australia.